Thinking about holding you very own NRA sanctioned tournament? Worried there might be loads of forms to fill out and paperwork to file? Well worry no more. Now you can do it all online at NRA Competitive Shooting’s new Tournament Registration website. To request match sanctioning, log on to www.nrahq.org/compete/tournaments/. There you can register a tournament and check existing tournament details online. Whether you’re in Alaska or Alabama, shooting high power or pistol, in an indoor or outdoor range, the online registrationwebsite offers fast easy processing of your sanctioning requests. 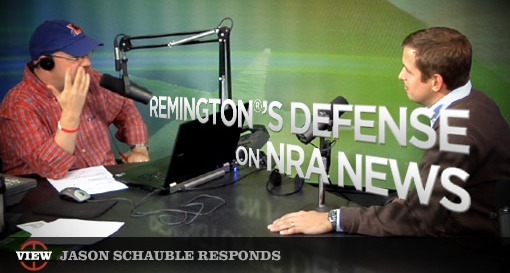 For more information, call (703) 267-1466, or email tournopns [at] nrahq.org . 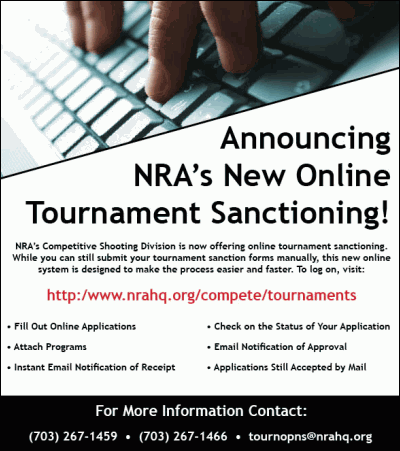 Share the post "NRA Now Offers Online Tournament Sanctioning Process"